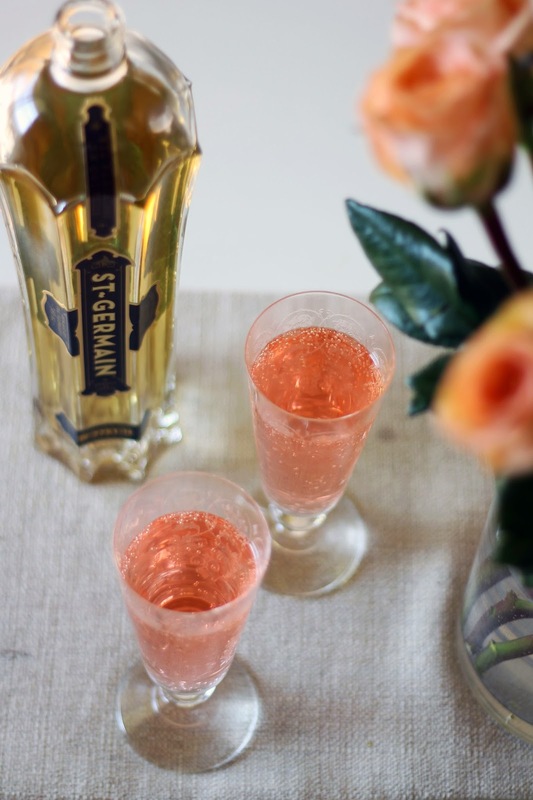 I will always say yes to a champagne cocktail, especially when St. Germain is involved. St. Germain is an elderflower flavored liqueur. It is a little pricey, normally over $30 a bottle, but you can find more affordable brands. If we ever buy a bottle of champagne we usually start off with some sort of cocktail, either this one or a French 75. This cocktail is very easy to make: little measuring and no shaking. You can make it for a crowd just as easily as you can for two. 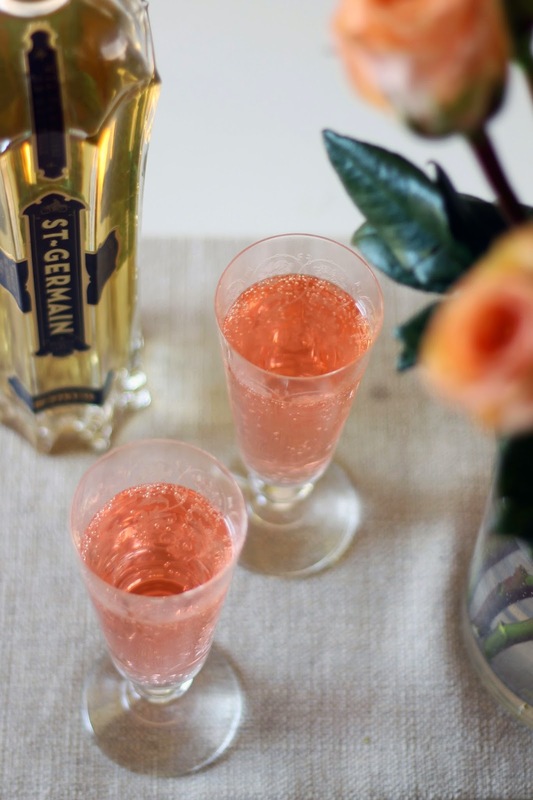 So, if you find yourself celebrating this weekend grab a bottle of St. Germain and give this easy but luxurious cocktail a try. 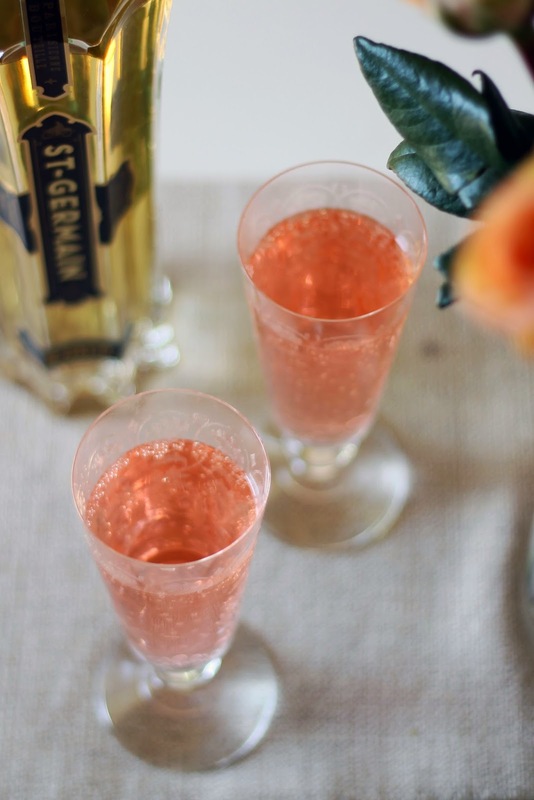 Pour 1 ounce of St. Germain into a champagne flute. Add a few dashes of bitters. 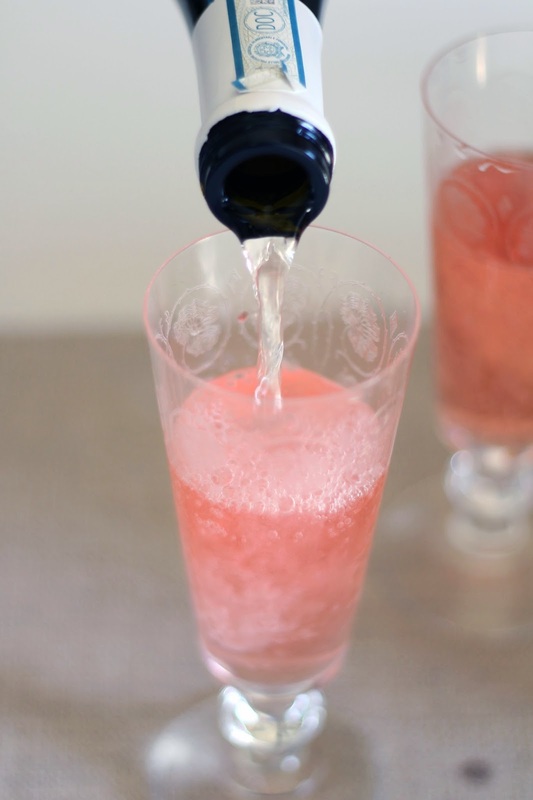 Top with chilled champagne. Repeat in second champagne flute.